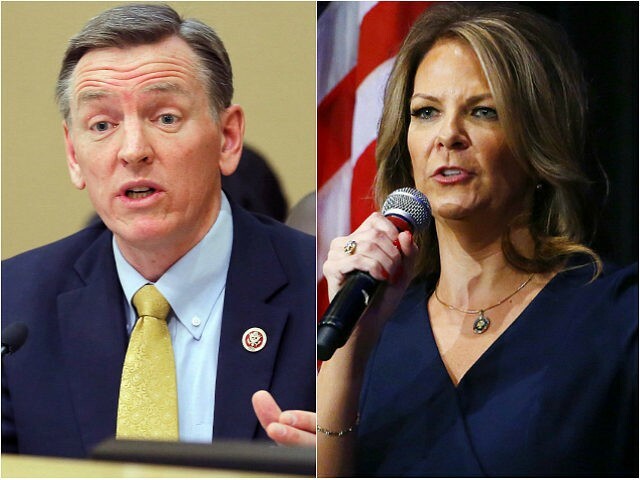 Rep. Paul Gosar and Senate Pick Kelli Ward Pledge to Fulfill Promises in D.C.
Rep. Paul Gosar and Dr. Kelli Ward both spoke with Breitbart News Tonight co-hosts Rebecca Mansour and Joel Pollak on Wednesday. Gosar said he had to get off the sidelines and help elect a U.S. Senator from Arizona who “says what they mean and means what they say. That they make promises and they follow through on those promises.” He praised Dr. Kelli Ward as his pick to act and follow through on promises in the U.S. Senate over McSally. “[Rep. McSally] ends up being more subservient to [House GOP] leadership and what they want than listening to the people back home,” Gosar said. Ward recalled her work with Rep. Gosar going back many years. The two worked together on constituent issues when Ward was serving as an Arizona state senator. She extolled Gosar’s conservative bonafides and put forth a vision of the future in which Gosar and others in the House would have a trusted ally in the U.S. Senate to work with and pass legislation on to and get it across the goal line. “So that we can take those great ideas and we can put them in to action,” said Ward. Gosar and Ward spoke of Democratic legislators’ actions with regard to abolishing the U.S. Immigration and Customs Enforcement (ICE). “The Senate has become a dysfunctional body,” said Ward. “They’re so busy rubbing elbows with the global tuxedo club that they cannot get the work that the American people need to have done, completed.” Ward predicted big changes in the 2018 midterm elections. “The border is a lot of things, but secure certainly isn’t one of them,” Ward recounted of her most recent of many trips to the U.S. southern border. She met with a rancher whose 55,000-acre ranch sits partially on the border in Arizona and whose family has lived in the state for five generations. She gave an account of his troubled experiences on the border with drug and human smugglers. Rep. Kyrsten Sinema is a Democrat running for the same U.S. Senate seat as Ward. Ward described Sinema as a “radical, leftist progressive” and bordering on “socialistic slash communistic.” She added that Sinema was an “ambassador” for Obamacare. Ward emphasized her support for President Donald Trump’s agenda, pledging to carry that to the U.S. Senate. Gosar said that beating Sinema should involve pointing to her “not been great” record with the Veterans Administration and her history with Obamacare. He identified engagement of the base as a key factor to win in a race that has been highly targeted by the Democrats. 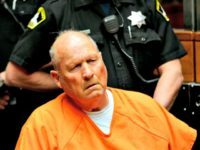 He said Tom Steyer and George Soros are throwing money “hand over fist” into the race. Ward emphasized the importance of prioritizing border security with a reference to the 1980s amnesty when President Ronald Reagan had trusted the Congress to deliver on border security and they never did. She said they have to prioritize building the wall. “Having a partner like Congressman Gosar on the House side and me in the Senate is going to be very powerful for making sure that we achieve the America First agenda,” said Ward with glowing words of praise for the work of Gosar and his staff. Ward is a medical physician who has worked in both private practice and emergency medicine. She also formerly served as an Arizona State Senator. She is running for the U.S. Senate seat being vacated by Sen. Jeff Flake.